Music in the Patio beside Romolo Chocolates, 1525 West 8th Street. 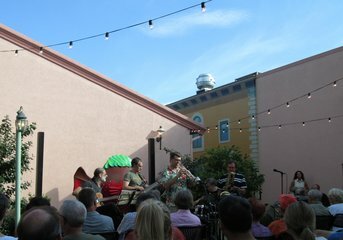 A FREE concert series of jazz and jazz influenced music, presented in the hospitable, Italianate patio beside the Romolo Chocolates store, across from Frontier Park. A wealth of top line visiting musicians supplemented by regional talents. This series has become a key part of Erie's entertainment scene. Watch this space for details. Another event to put on your summer calender: The Erie Art Museum's Annual Blues & Jazz Festival, Sat. & Sun., August 1 & 2, from noon until 10 p.m. FREE and family friendly. 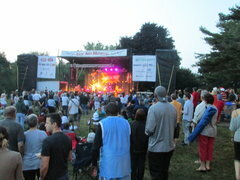 The region's premier blues and jazz fest. Artists and schedules for performances will be released during the summer. Stay tuned.